Samsung has made Galaxy Grand 2, the follow up to its successful Galaxy Grand Duos smartphone, official. The new handset has a bigger high-definition screen, faster processor and more RAM compared to its predecessor. The smartphone is powered by Android 4.3 (Jelly Bean) and will have dual-sim functionality. 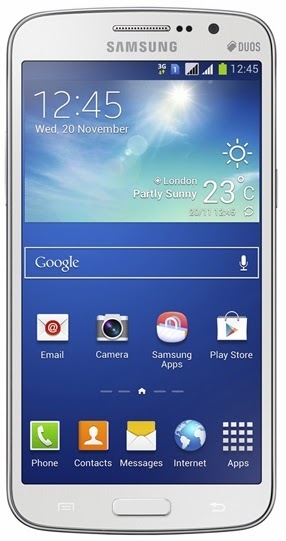 Samsung has not revealed when the Galaxy Grand 2 will be launched or the price bracket as of now. This phone will compete against the likes of Sony Xperia C, LG G Pro Lite and Micromax Canvas Turbo, along with its sibling Galaxy Grand Duos.